Whatâ€™s a web site without an image gallery these days? Galleries are used for products and portfolios and they have been getting sleeker, faster and lighter over time. jQuery plugins are available for almost every function you can think of, everything from widgets to animation effects. As a designer, there are many functions Iâ€™d like to add to a web site, however I donâ€™t have the technical prowess to program or put it together, but I do know enough to slot some jQuery onto the page. Thankfully there are many developers out there who generously share their work and there are indeed some fabulous galleries and slideshows available as plugins. Here are five sleek offerings which are available for free and are easy to implement on your site. 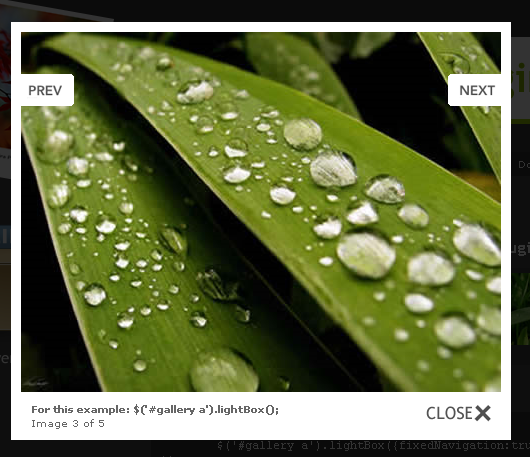 jQuery Lightbox is a simple and elegant way to overlay image on the current page. Space For A Name, Gallery View is a beautifully clean and versatile gallery. It contains thumbnails, a semi-transparent overlay for image descriptions and captions for the thumbnails. Mb Gallery is a clean, full featured photo gallery, with navigation toolbar, thumbnails, and auto-size frame. The gallery smoothly adjusts itself to the currently selected image size. 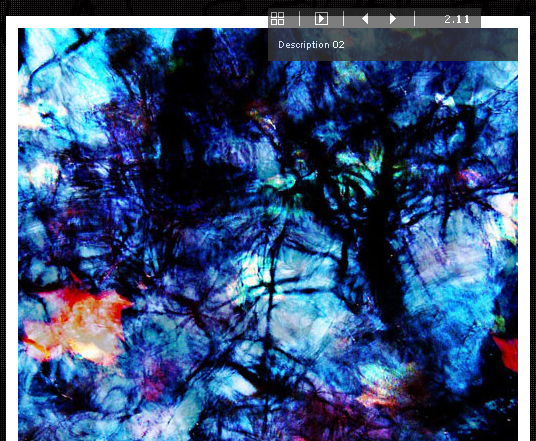 S3 Slider is a slideshow offering smooth transition of images with a semi-transparent area overlaid with the image description. 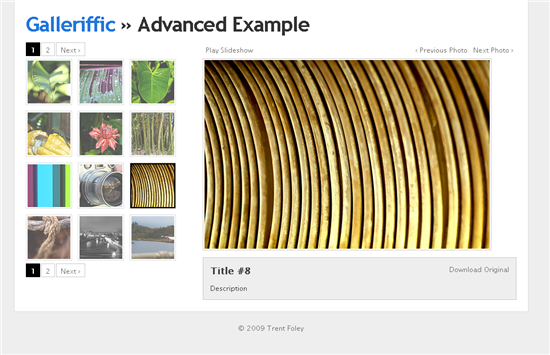 Galleriffic allows for two types of gallery setup, â€œsimpleâ€� and â€œadvancedâ€�. The simple option uses text links to link to each image in the gallery while the advanced choice displays thumbnails on the left hand side. Other features include bookmark friendly URLs, image caption and descriptions and slideshow options. Have you used these or other jQuery plugins on your website? Have you any recommendations for other galleries?